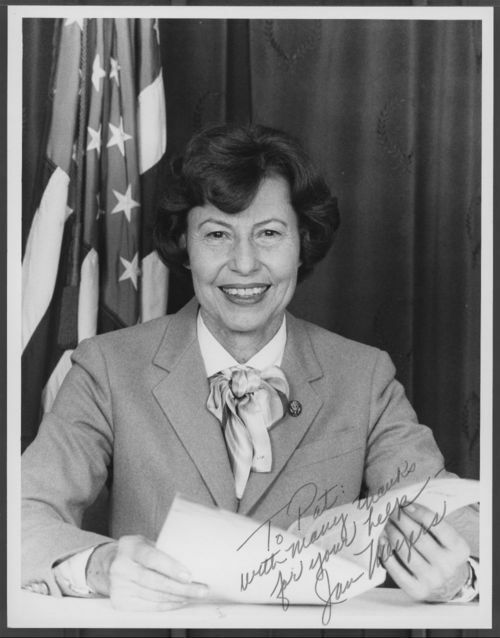 This black and white portrait shows Jan Meyers who was elected in 1984 to the U.S. House of Representatives from Kansas. For twelve years, she represented the Third district in Kansas and served as chairwoman on the House Committee on Small Business. In 1996, she chose to retire and did not seek re-election to the 105th United States Congress.